James Lawler is a man who goes after what he wants. Or rather, he builds it. 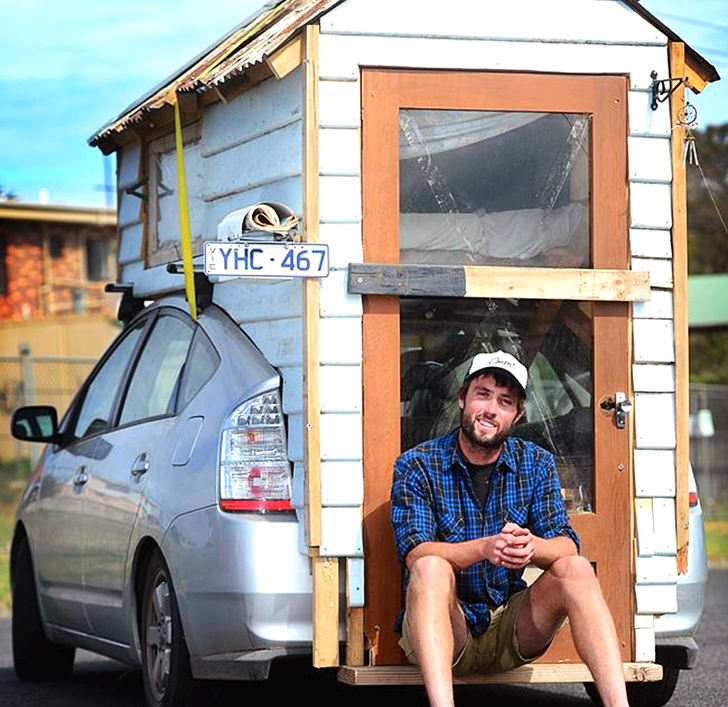 Lawler, a landscaper from Torquay, Australia, enjoys traveling and camping so much that he decided to build his own motorhome—on top of his Toyota Prius. The whole project cost Lawler less than $150 and gave him the perfect tent alternative for his travels. Lawler was looking for a little place to sleep while traveling, and he wanted to upgrade from a tent on the ground. 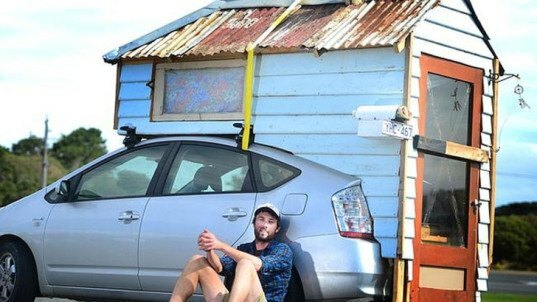 It’s hard to guess whether building a motorhome on top of his hybrid car was his first thought, but it’s the one he decided to pursue. Lawler built the adorable contraption in about a week from salvaged materials. It has a pitched tin roof, a chimney, stained glass window, and even a cute windchime. Although Lawler has already taken one trip with his tiny hybrid motorhome—to a music festival—it’ll be a while before he’s on the road again. Evidently, the local police didn’t feel the structure is legal, and issued a fine for the vehicle modifications. I have an idea that would work better? A roof top camper that you gain access through the rear glass on the hatchback. But the rooftop camper is closed when traveling and can be propped up when stopped. When stopped or camping the car can provide climate control with a duct. Or this man can use hammocks and cargo strap with a spreader bar that can be broke down. Use cable around the hinge for the hatch back Should be good. If not it should provide enough support to give you a good nights sleep. A nearly 40 mpg camper is as good as it gets. Interesting.Our minds work in mysterious ways.I agree with the police.An accident waiting to happen. How did he get a Prius for less than $150? Did he bother to notice before construction that one can lay the front passenger seat back flat, fold the back seats, and if necessary put a piece of plywood over the seats to sleep? Many others have.